Here is a place where healing can happen through the sharing of stories. This website is both a bookstore and a reading room featuring stories and poems by people who have experienced grief and loss. Welcome to the community. Our hope is that by sharing these works, reading about the experience for others and feeling part of the community, we can aid in each other’s healing. Grief is a universal emotion. At some point in our lives we will all experience grief. It does not discriminate, it knows no race, status or creed. But how we are affected and how we deal with grief is not so universal. The Grieve Project is an empathetic place for us to read, contemplate and reflect. By disclosing their inner thoughts, the writers here help us learn from each other. Through the stories and poems shared here we might achieve some therapeutic liberation from grief. 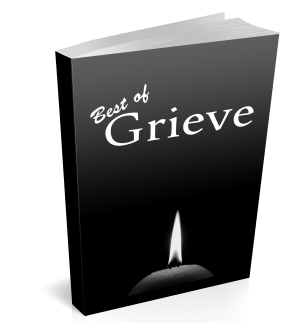 Subscribe to receive a FREE copy of our Best of Grieve anthology. Purchase past volumes in our Grieve collection. 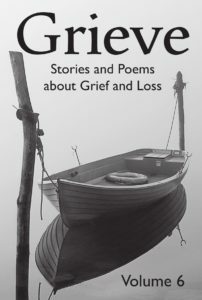 Read selected poems and stories free, right here on the Grieve Project website. Watch a live reading from our YouTube channel. The 2017 Grieve Anthology does not disappoint. It is an excellent showcasing of some of the best talent in the craft and an honest and raw expression of the emotion. It is a community of souls coming together to make some sense of this emotion which touches all of us and yet is rarely so very well expressed. Each story is personal and touching and reaches out to the grief and fear in our own hearts. If you are looking for understanding, community and comfort, find it here.